All Fantasy Everything is a show where funny people and experts come together to fantasy draft pop culture, from music to movies to sandwiches, everything is in play. In this special 100th episode, the gang drafts their favorite moments from the podcast. 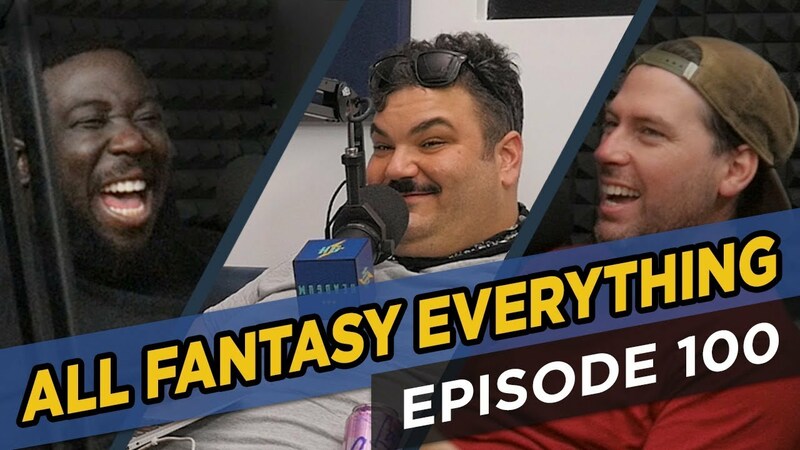 All Fantasy Everything is hosted by Ian Karmel, Sean Jordan, and David Gborie. This episode features special guest Amy Miller. Subscribe to All Fantasy Everything today: Apple Podcast: https://itunes.apple.com/us/podcast/all-fantasy-everything/id1155320115?mt=2 Stitcher: https://www.stitcher.com/podcast/headgum/all-fantasy-everything?refid=stpr Spotify: https://open.spotify.com/show/0ApQxplg4vhwSAfKGfgL9A Google Play Music: https://play.google.com/music/listen?authuser&u=0#/ps/Ig2wkrnh7k4l7jukkeregd5nye4 Subscribe to HeadGum: https://youtube.com/headgum LIKE us on Facebook: https://facebook.com/headgum/ FOLLOW us on Twitter: http://twitter.com/headgum FOLLOW us on Instagram: https://instagram.com/headgum/ Check us out at www.headgum.com Musical assets sampled from the album "Richie" by Outasight. We all work hard, for gosh sake, we deserve some treats every now and then. Here to draft those treats are host Ian Karmel, comedians Shane Torres, Sean Jordan and David Gborie, and a special guest appearance from Ian's mom, Saint Sue.